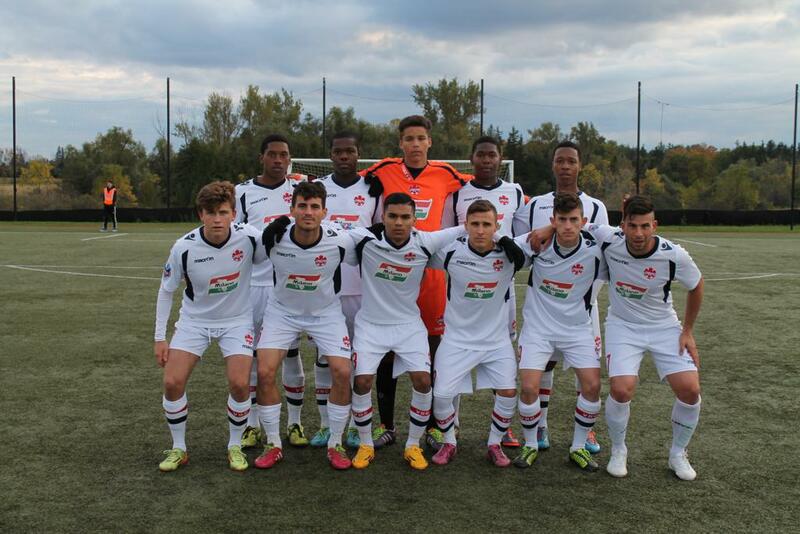 ANB Futbol Academy capped a strong second half resurgence with a fine 3-1 victory over Vaughan Azzurri to finish out its League1 Ontario league season on a winning note Sunday night. And the King City-based squad did it in style too, earning the win on its home ground at Country Day School in King City. 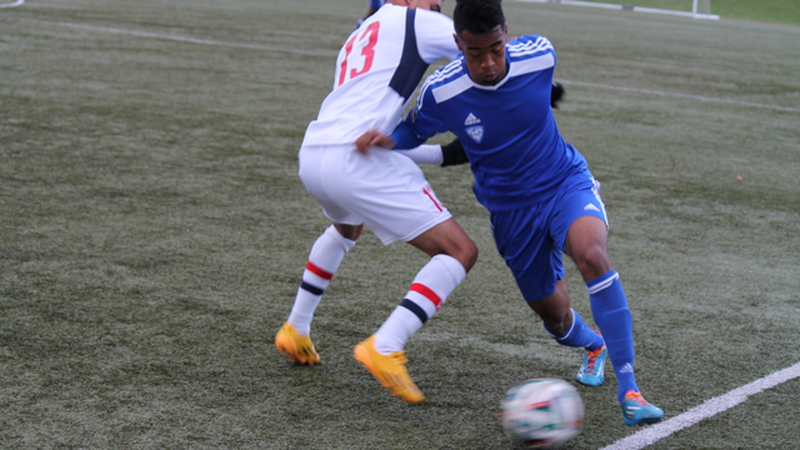 ANB, as it has throughout the season, relied on the attacking flair of Mills' brothers Jason and Jahsua, who both scored goals, to lead the line. They were helped by a somewhat controversial call in the ninety-first minute by the referee, who judged Vaughan defender Zebulun Thompson was last man and had grabbed ANB forward Adonijah Reid. Thompson, who was mystified by the call, as was the Vaughan bench, was red-carded and the fifteen year old Reid cooly slotted home from the spot to make the final 3-1 for ANB. What could well have been the goal-of-the-year in League1 competition was an attempt by ANB midfielder Raheem Edwards, who tried a full bicycle kick from the top of the Vaughan penalty area. The ball was targeted for the top of the Azzurri goal, but was parried away by Vaughan keeper Dayne St. Clair. Jason and Jahsua Mills were happy with the season they had. “It feels good. The last couple of games we’ve been picking it up,” said Jason Mills. “The experience I have under my belt is good, hopefully I can score every game,” said Jahsua Mills, who had five goals this season. “I’m happy with the way our team performed in the second half of the season,” said Jason Mills. 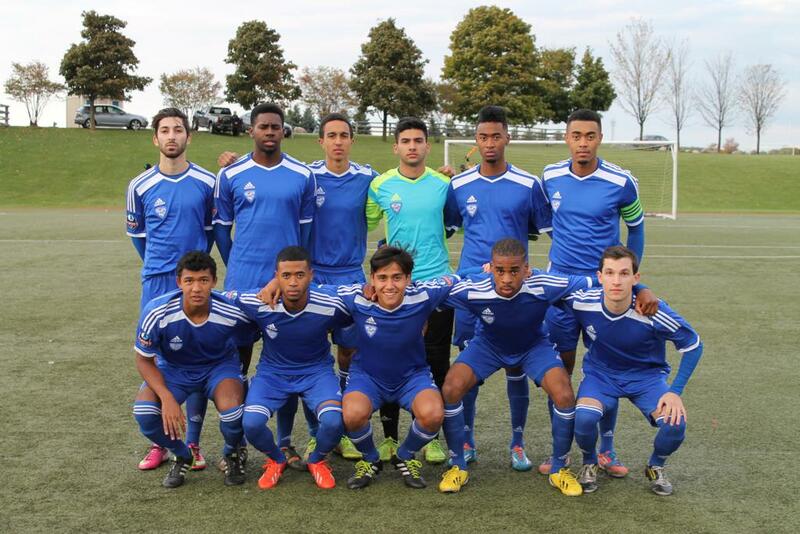 The victory took ANB to a final spot of fifth place on twenty-two points in the league, pending a couple of final games for Windsor Stars, who still have a home game against unbeaten league champions Toronto FC Academy, and an away game against Woodbridge Strikers. Windsor has twenty points and plays Toronto on Saturday in Windsor. The makeup game against Woodbridge, which was supposed to be played Sunday, has yet to be rescheduled.